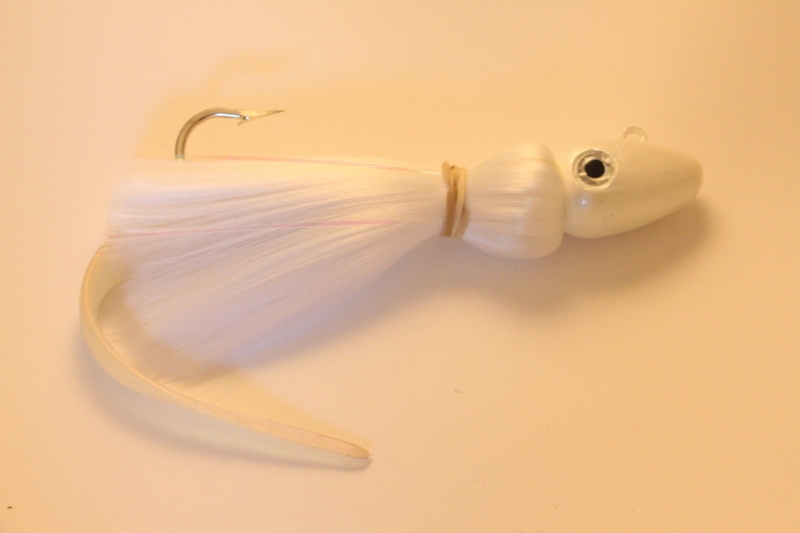 This is a one-of-a-kind Lure. 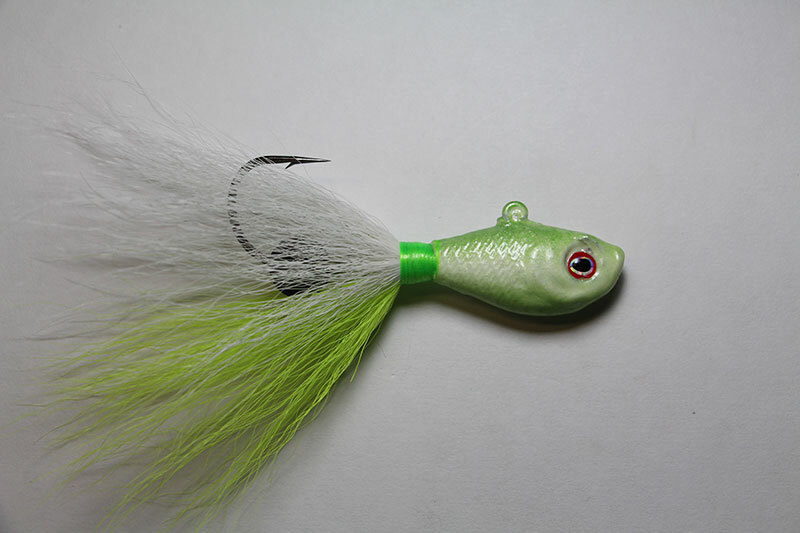 This lure is poured from Tin. 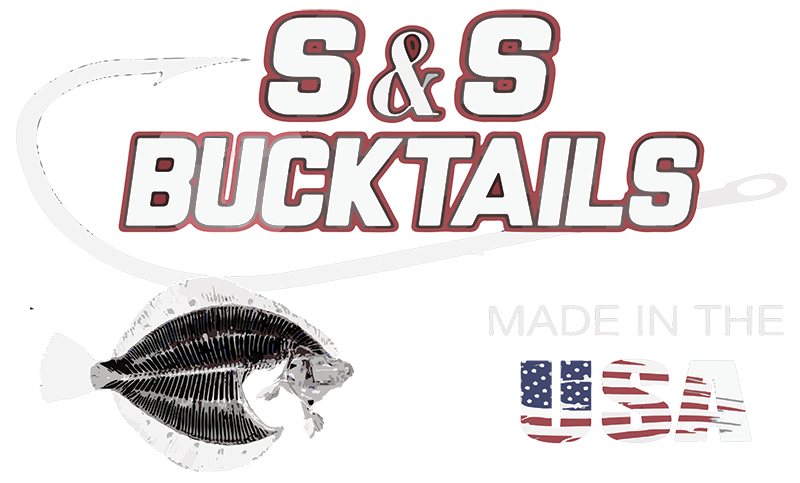 It allows you to fish a larger profile with less weight, these are available in two sizes 1.25 Oz + 2.1 Oz. A must for the serious surf fisherman. Our 2.1 Oz is available in the following colors Silver, Gold, Chartreuse, and Pearl. Our 1.25 Oz are available in Silver, Pink, & Blue.